I tend to shy away from the conventional, so it comes as no surprise that these brightly colored birdcages sing to me. I love the classic shapes and the color adds just the creative touch I crave. From Wedding Aisle. oh these are sooooo cool. i love unconventional too. 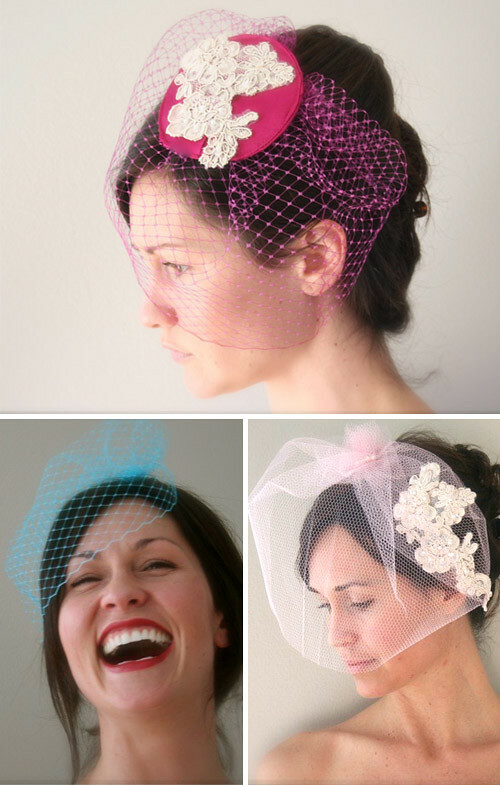 the pink one would be great for my wedding!! thanks for the post! Lovin that blue with the red lips!